By know we know that recycled aluminum is huge in the automotive industry, especially in the light-duty automotive sector, since car manufacturers like Ford, Jaguar and others have implemented aluminum recycling programs and are saving millions of dollars because of it. But a new study shows that as of right now out of all the aluminum used in the automotive industry a huge part of it is in fact recycled aluminum. 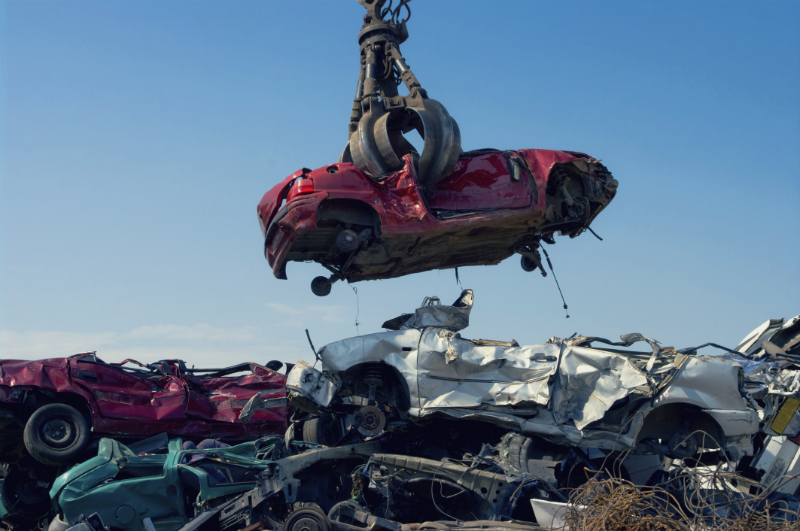 A study called “Automotive Aluminum Recycling at End of Life: A Grave-to-Gate Analysis” done by Worcester Polytechnic Institute’s Center for Resource Recovery and Recycling found that a whopping 91% on all the automotive aluminum is recycled. And even if it was a domestic study, so this percentage can only be refereed to the U.S. automotive industry it is still a he success and shows that aluminum recycling is and will continue to be a huge part of our lives. This study was funded by The Aluminum Association, which not only provides global standards to everyone that are involved in the aluminum industry, but also provides different statistics as well as expert knowledge for those who want to know more about this billion dollar industry and its impacts on everything from the economic to employment rates. And in the study the researchers not only looked how much of the aluminum used in the domestic light-duty automotive sector is recycled but also recovered from old vehicles. And this only proves how important aluminum recycling is and how sustainable it is, because it lets us leave much smaller impact on the environment, while still producing quality aluminum products, from car parts to things like aluminum cans. But that is not all. Aluminum recycling from end-of-the-life vehicles and reusing them in new cars also will help lower the countries energy consumption and carbon emissions. And sine it doesn’t take as many steps to recycle aluminum as it is to produce it anew, the aluminum recycling process can also help save fuel and therefore money. The main reasons why these automotive aluminum recycling rates are so high is that the industry sees a great economic value in aluminum as a metal, therefore a continuing efforts are put towards recovering and recycling aluminum from old cars and using the recycled material in new vehicles. On top of that the researchers also reached a conclusion that companies view the loss of aluminum to landfills as loss in profit margins in the industry, which is why they try to minimize that how much of the aluminum is lost and maximize that how much of all old vehicle aluminum is recycled and reused. Which only paints a bright future for the aluminum recycling industry.